Enjoy your holiday on one of our 10 very well equipped Beneteau First 35, which offers you everything you need for a comfortable stay on the sea. Get to know the immense natural and cultural beauties of the Croatian coast in the most beautiful and pleasant way – sailing on the blue waters of the Adriatic. New in our offer 2019 - a brand new Oceanis 51.1 First Line, 4 cabin/4 wc plus skippers cabin. 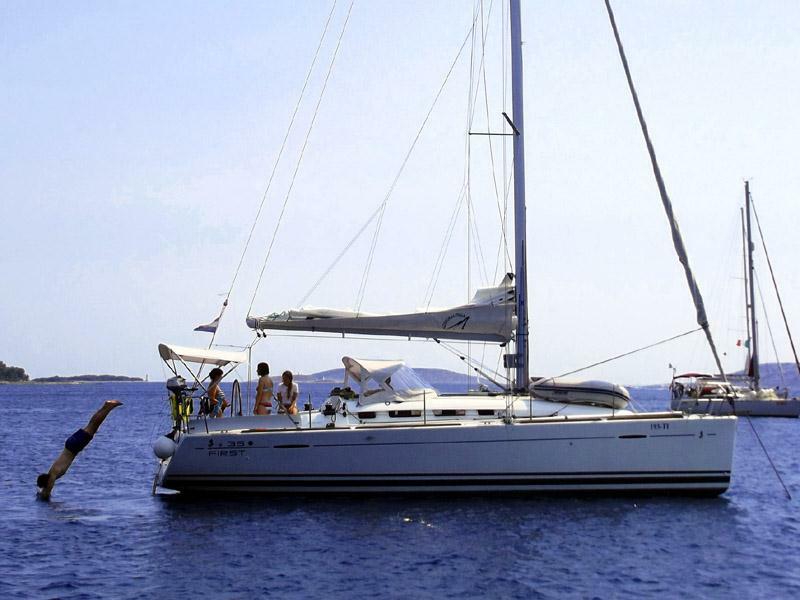 The only Oceanis 51.1 First Line for charter – more sailing area and high tec sails, higher mast, full battened mainsail with 3 reefs, staysail, code 0, upgraded harken deck equipment, all electrical winches without reducing all the comfort of a big beautiful sailing yacht. The location on the island of Murter in the middle of the Croatian coast makes our base a perfect starting point for exploring every part of the Adriatic. The wild and beautiful north with its rich cultural and touristic heritage, the fragrant pitoresque south or the central part with its numerous islands, bays and beaches, 2 famous national parks – NP Kornati islands and NP Krka (sailing through is an exceptional experience), good winds and many anchoring and mooring options.